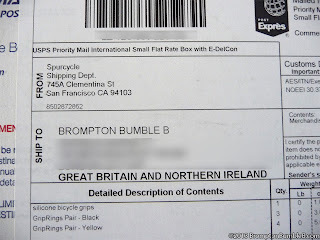 For the first time BumbleB had a package addressed to him. Yes you heard right. 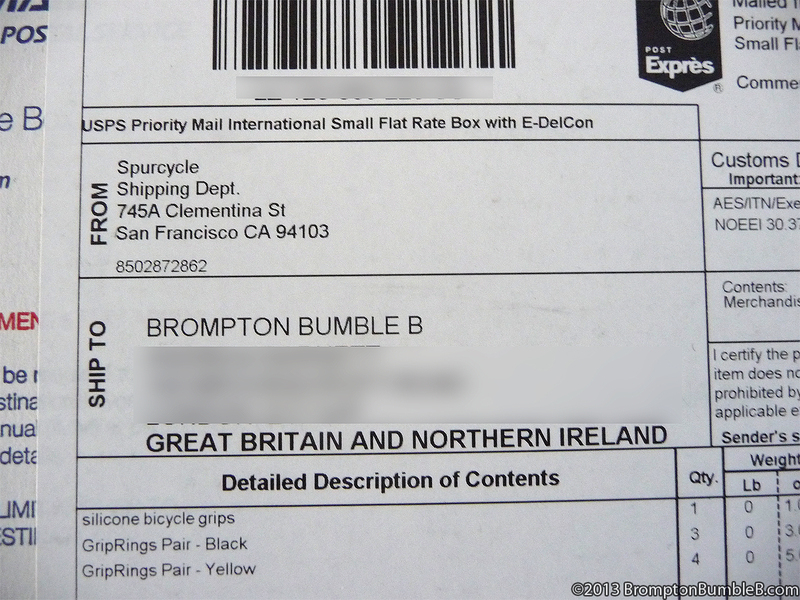 Addressed to Bumble B himself. 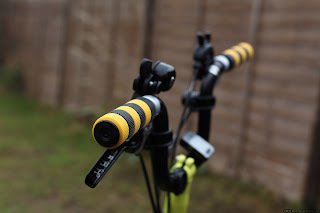 I've been eyeing up these SpurCycle: GripRings for awhile now and finally put in an order as the awesome yellow Brompton grips where starting to look pretty dirty of late. Even though I've cleaned them quiet often, they get dirty pretty quickly. 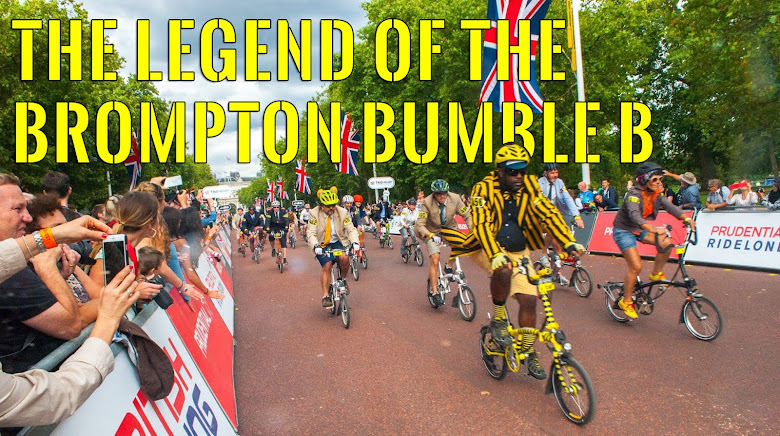 On with the GripRings. Pretty easy to install I must say and they look pretty damn good. Will take me awhile to get used to the feel of them compared to the Brompton foam grips but I'm liking how they match up with the rest of BumbleB's colour scheme. 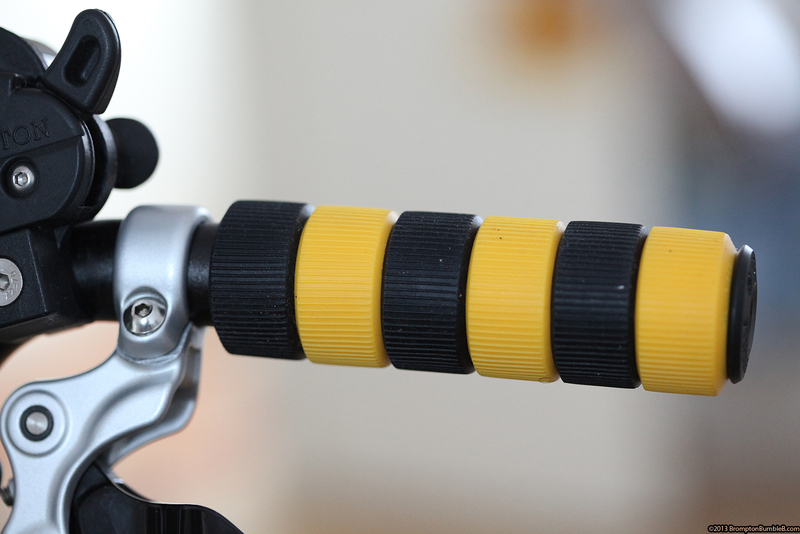 Ok I guess you want some photos eh, or should I tease you some more? ok I won't here enjoy the eye candy. 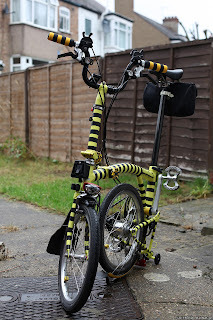 Only thing left I feel now is a Brompton Yellow Saddle, I have thought about a Brooks but I'm not to sure about spending that kind of money and having to "break it in" & then not liking it. 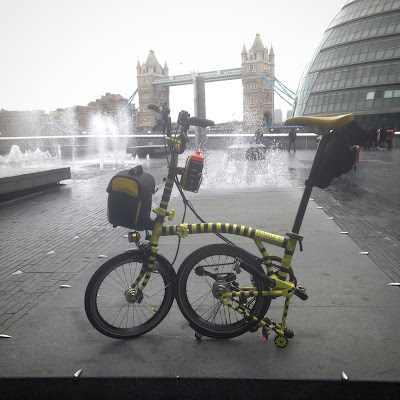 I'd go with what I know and thats the Brompton standard saddle. 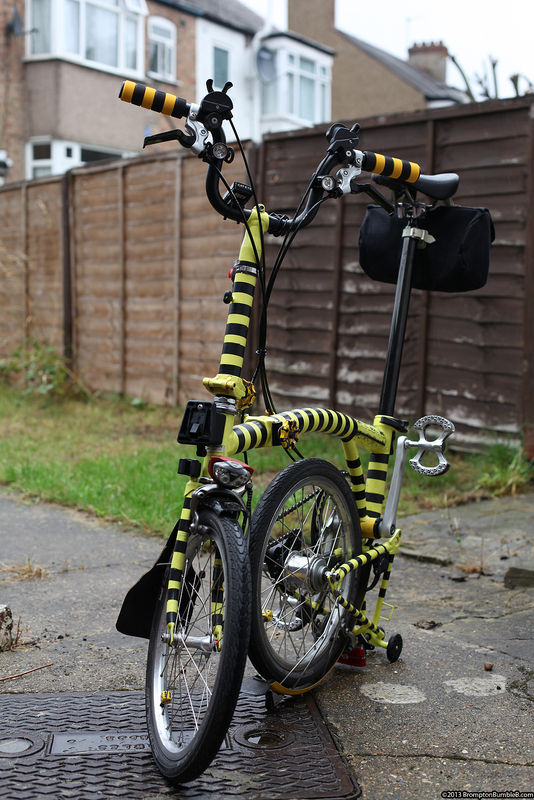 Then I guess I cant really do anything more with Bumble B other than get another and start again >:P maybe a full on racing bike. Where did you buy your front light? 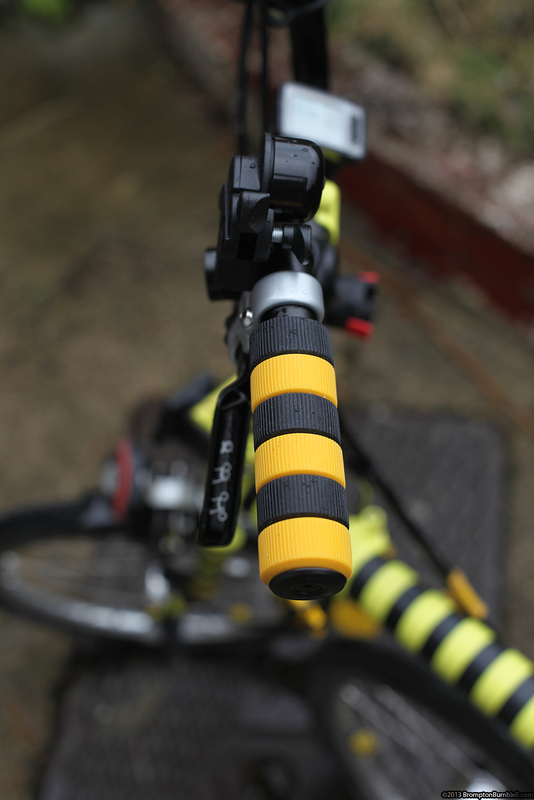 Looks awesome, Ive been looking for a light to replace the front reflector for a while! Oooo you now have me thinking. I would say that they are about the same comfortwise, maybe a little harder than the Brompton foam grips. I may add some "cow horns" for longer rides I like to have different hand positions as mine get tired at times.